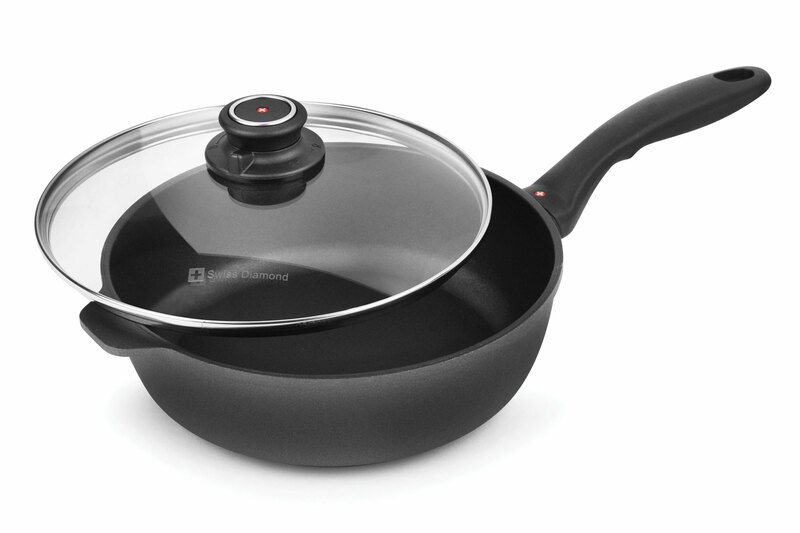 The Swiss Diamond Nonstick Saute Pan features deep, straight sides that keep juices in the pan while cooking and helps prevent splattering. 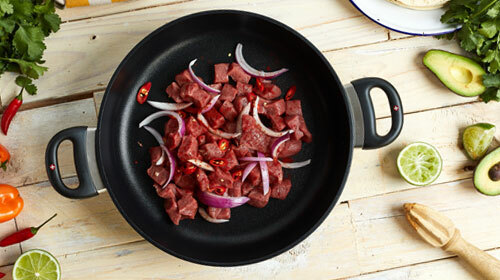 Perfect for making larger one-pan meals or meat sauces. 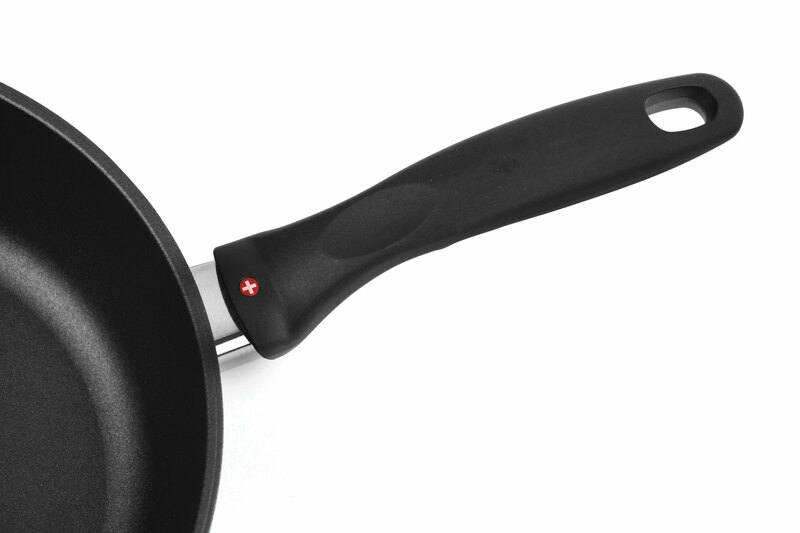 Swiss Diamond cookware features a revolutionary nonstick HD coating with diamond crystals, that is virtually indestructible and will not crack, blister, or peel. 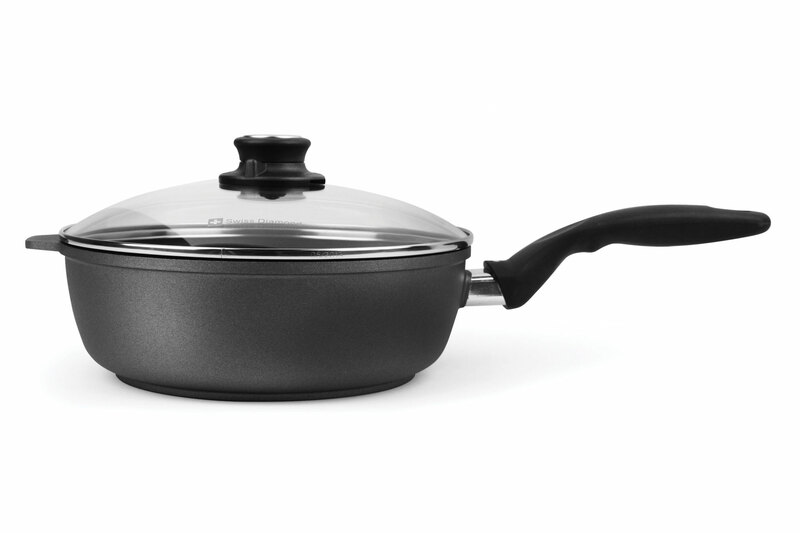 This new and improved nonstick coating stands out for its extended durability, improved corrosion resistance, easy clean-up and superior browning and searing capabilities. Nothing conducts heat more efficiently or quickly than diamonds, ensuring the best possible heat transfer without hot spots. 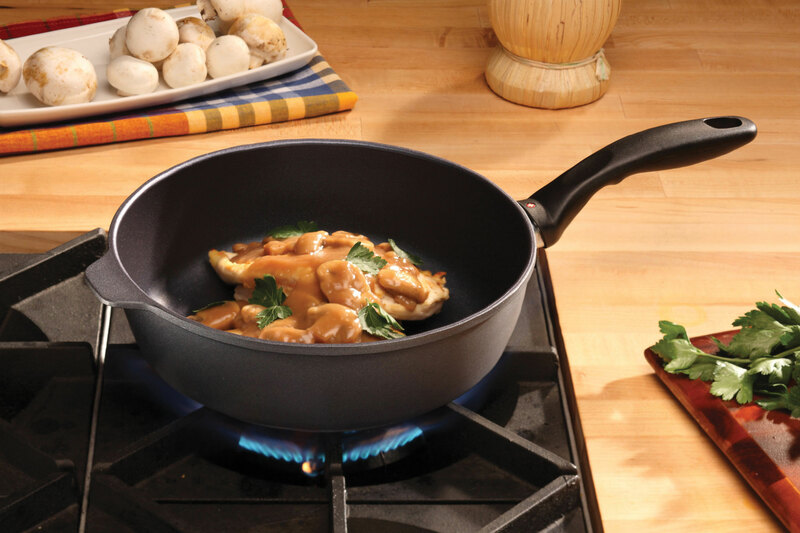 The cast aluminum construction distributes the heat evenly across the bottom and up the sides, so a consistent temperature surrounds the food and helps prevent burning. 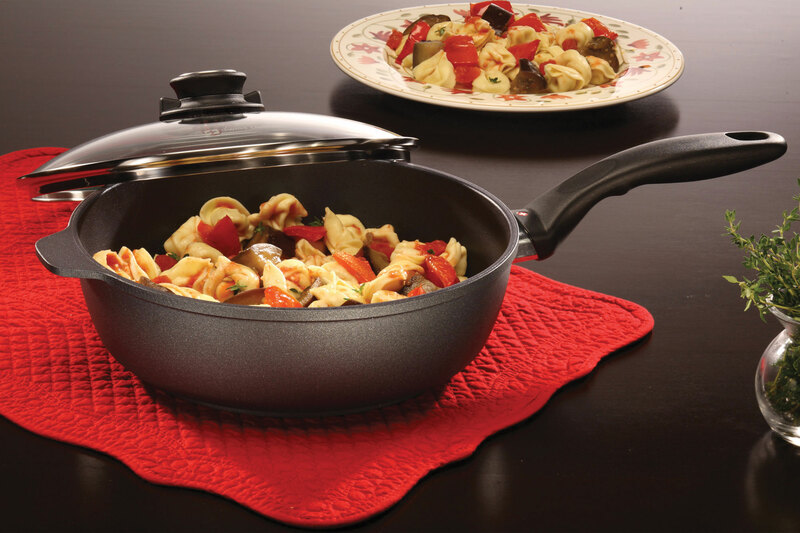 Features a perfectly flat extra-thick base that will never warp, compatible to use on new ceramic, gas, and electric cooktops. 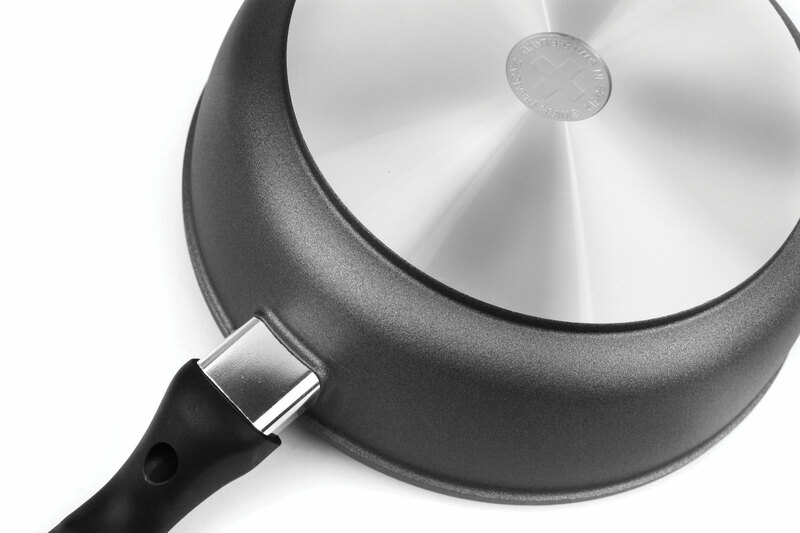 The stay-cool handle is comfortable and balanced for easy lifting and oven safe up to 500°. It is recommended to use silicone, wood, or nylon utensils. 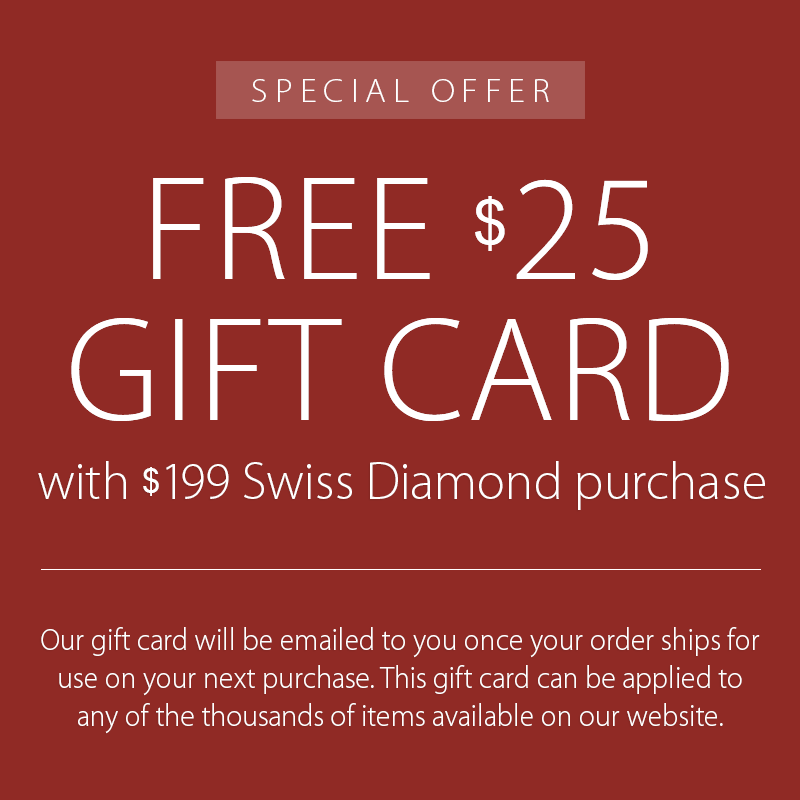 Made in Switzerland with a limited lifetime warranty.